In the future, most new drugs will need acceptable pharmacoeconomics to qualify for reimbursement. In the U.S., cost of health care is more than 17% of the gross domestic product. Cost containment is urgently needed. Many new drugs are priced at hundreds of thousands of dollars per year, especially for cancer and rare diseases, which has been dubbed “sticker shock” by some writers. As costs are reigned in, pharmacoeconomics provides three convenient measures to help understand what will be acceptable and unacceptable drug prices. They are cost-benefit, cost-effectiveness, and cost-utility. Cost-benefit (CB) is the simplest of the three measures: CB = Benefits – Costs, where benefits and costs are measured in dollars. For the narrowest cost-benefit focus, benefits in the CB equation would be limited to the dollar value of savings from a medical intervention. For instance, benefits would come from eliminated or reduced drug cost, eliminated or reduced doctor and hospital costs, and so on. Costs would be the direct cost of the intervention leading to the cost-savings. If benefits outweigh costs, the medical intervention has positive cost-benefit; and if other aspects of the intervention are not relevant, the intervention would then be adopted. If you are an employer, benefits could include reduction of lost work days and increased productivity. Private insurance providers and HMOs will likely not be interested in lost-work days as it will not affect their cash outlay, so how cost-benefit is calculated depends on who is doing the analysis. Calculating cost-effectiveness (CE) is more complicated, CE = (cost of intervention) / lys, where lys is shorthand for life-years-saved. In words, cost effectiveness is the cost of the medical intervention divided by the years of life that the intervention saves. So cost effectiveness applies only to those illnesses where your life is at risk or your life-span shortened. The more life-years saved the lower the cost-effectiveness, so low CE values are what we aim for. A therapy that costs $100,000 and on average prolongs a patient’s life by five years would have a cost-effectiveness of $100,000 / 5 lys = $20,000 per lys. Life-years-saved compared to what? Compared to no treatment is the usual measure. In the U.S., cost-effectiveness below $50,000 per lys is considered an acceptable health-care intervention. This cutoff is the gross domestic product in the U.S. per capita. In 2012 in the U.S., the GDP was $15.7 trillion and the population was 314 million, so $15.7 trillion / 314 million = $50,000 is the GDP per capita. As cold-hearted as it sounds, in economics your life is worth only what you contribute to the nation’s GDP. In practice, economists add several thousand dollars to the $50,000 cutoff between acceptable and unacceptable health-care interventions, just so it doesn’t seem so cold-hearted. Maybe something like $70,000 per life-year-saved is the cutoff in practice. Clearly, cost-effectiveness numbers are only a guide, not an absolute rule for deciding whether a medical intervention should be adopted. From a literal interpretation of cost-effectiveness, if you are 80 years old you would have no remaining life to be saved, but of course old people still receive medical care. For compassionate and moral reasons, infants born with genetic defects are treated with drugs priced at hundreds of thousands dollars per year, well above the cutoff. Some cancer drugs that extend life only for less than a year on average are priced that high as well, a situation that could soon change. Neither cost-benefit nor cost-effectiveness consider how well patients fare (outcomes) after a medical intervention. Cost-utility (CU) addresses this outcomes focus. CU = (cost of intervention) / (quality-life-years-saved). The calculation of cost-utility is similar to cost-effectiveness, except life-years-saved has been replaced with something called quality-life-years-saved. How are quality-life-years-saved measured? First, break it into two parts: life-years-saved times a factor Q that runs from zero to one. For a medical intervention that returns you to complete health, Q = 1. For someone is a permanent coma, Q = 0 so any intervention just to keep you alive is not a good health care intervention from an economic point of view. Unfortunately, Q is hard to measure because it is so subjective. What is Q for a patient dying of cancer, a paraplegic, an amputated arm, loss of sight, loss of hearing? Q may also depend on the person as well: A music composer may find loss of hearing a disaster, but a writer may not. Since Q and quality-life-years are subjective, cost-effectiveness is used more often as a pharmacoeconomic measure, but quality of life and outcomes are without question the better focus. Pharmacoeconomics plays a role in health-care policy decisions, in comparing and cost-optimizing clinical practice pathways, and in business strategy such as pricing. The focus here is business strategy. Four business activities where pharmacoeconomics should play a key role are listed below, loosely in the time order they would be carried out. While companies now often charge “what the market will bear” for their new drug without regard to pharmacoeconomics, this way of pricing may be nearly impossible to justify in the future. Today in the U.S., the FDA makes its approval decisions on safety and effectiveness alone, and by law Medicare and Medicaid must approve reimbursement for FDA-approved drugs, so price is not considered. However, the 2009 Patient Protection and Affordable Care Act establishes an Independent Payment Advisory Board (IPAB) to reign in Medicare costs. The Board must include “experts in the area of pharmacoeconomics or prescription drug benefit programs.” In 2011, President Obama further elaborated the responsibilities of the IPAB to explicitly consider “excessive payments for prescription drugs.” The IPAB’s first nonmandatory report to Congress was expected by January 15, 2014. A company’s new drug candidate may not make it to market for perhaps ten years, when price will almost certainly be a major reimbursement consideration for all payers—Medicare, Medicaid, HMOs, and private insurers, so acceptable price must be considered at the outset of a drug discovery and development project. Potential maximum acceptable price and potential market at that price should be included in your company’s business plan for raising financing. 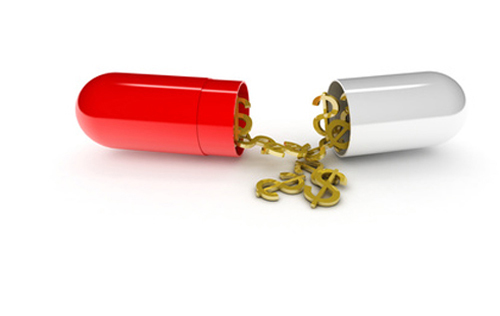 Investors are starting to look at pharmacoeconomics as part of their due diligence. Moreover, pharmacoeconomic modeling is a good market research tool to better predict sales because it necessitates some understanding of clinical pathways for the drug’s use. To have a drug reimbursed, your company will need to have well documented pharmacoeconomics, because payers would have their own economists on board, so a short back-of-the-envelope analysis will not convince them. For business planning purposes, well-documented analysis may not be necessary. You may only need to convince yourself that success will lead to a reimbursable product. In summary, pharmacoeconomics is important at each stage of drug development: for business planning purposes, to attract investors, in market research to predict sales, and for reimbursement. Lynn C. Klotz, Ph.D., is co-managing director of Bridging BioScience & BioBusiness. The material in this article comes from the Topic Books on Bridging BioScience & BioBusiness’ website.